Small stainless steel stencils made with the crafter in mind. 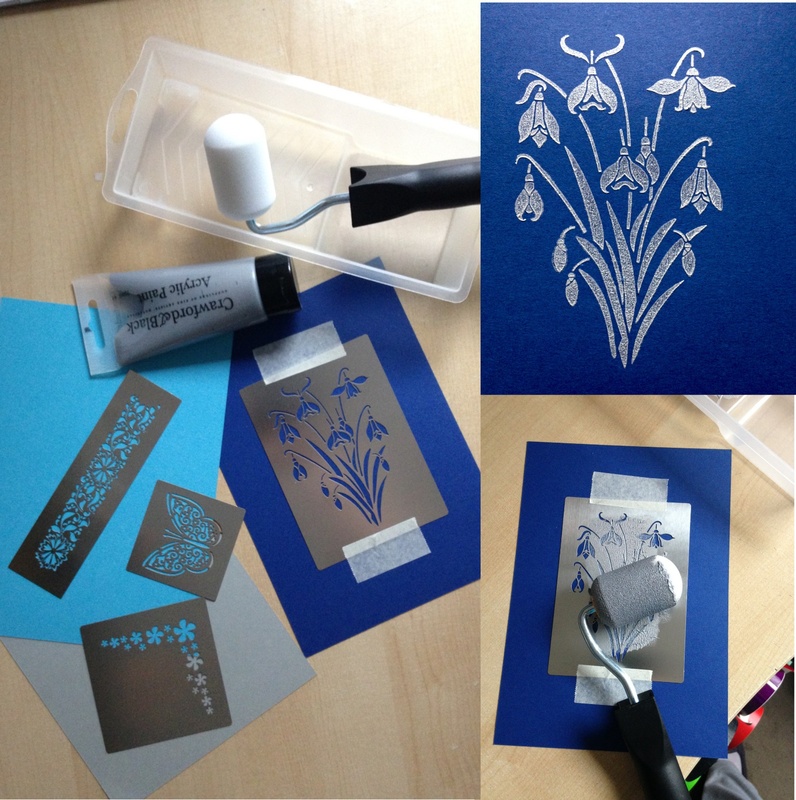 Beautiful designs which can be used with a variety mediums and methods. Subtle frosted glass etch designs and eye catching colour accents for the home. Traditionally patterns have always been acid etched or sandblasted into glass to achieve the decorative effect. 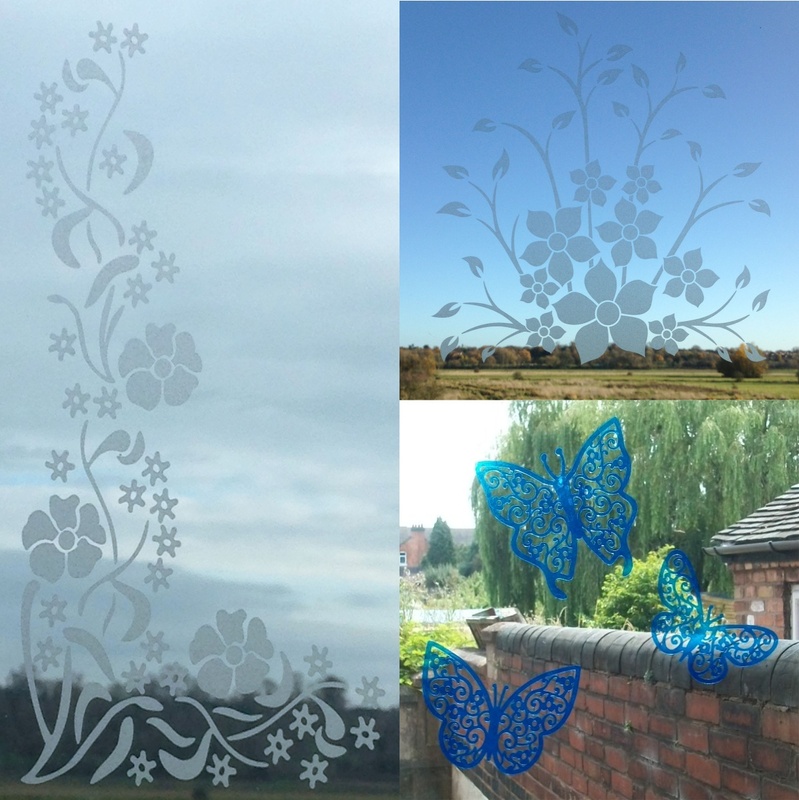 Our modern Glass Etch Vinyl stickers create the same beautiful frosted effect. The stickers look just as if you have had the pattern or design etched in to the glass surface! No mess, easy to apply and easy to remove at a later date. How are our stickers made? 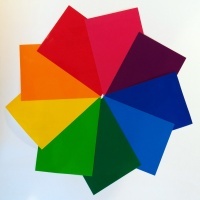 The design is cut directly out of the etch or coloured film using a vinyl plotter or cutter. Once the vinyl has been cut it’s removed from the machine and the excess vinyl is picked off by hand (called weeding). Once the sticker has been weeded we apply a layer of application tape over the top and neatly cut to size ready for dispatch. Where to use our stickers? Vinyl stickers can be used on any clear glass, mirror or white smooth surface.